Logos are a critical element of marketing strategy. Your logo design establishes a brand identity for your small business, and and helps it become easily recognized. As a rule, simpler designs are preferable because they are easy to remember. Tasteful, strategically placed images of your business and the services or products you offer are crucial to your website’s success. SEO enhanced unique images can also boost your ranking. Potential customers will equate the aesthetics of your website’s design with the trustworthiness of your business. A seamless user experience (UX) is as important to the success of your small business as the way search engines view your pages and content. It is also crucial that your site’s pages load quickly and that relevant questions (location, hours of operation, etc…) are easily found. Creative and vibrant illustrations brimming with character and perhaps a bit of humor, are valuable assets to your business’ website. Illustrations can serve to underscore your brand’s message or drive home a point. 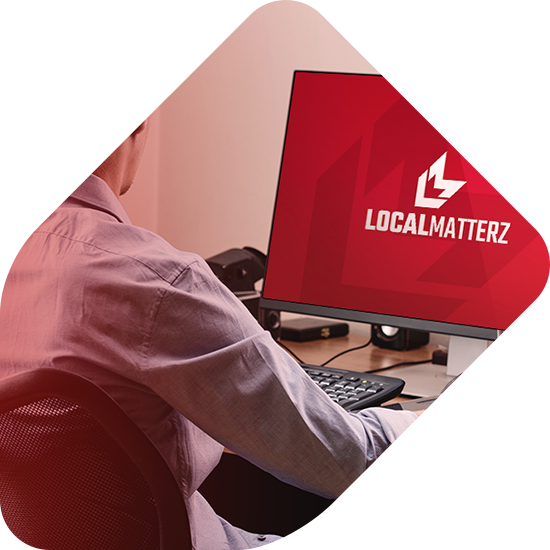 The Localmatterz graphics design team works work in all aspects of graphic design, ranging from, but not limited to; logo graphic design, print design, logo design, website design, branding, advertising & more.